SurveyMad is a GPT site, where you can earn money by completing offers. Offers credit with points. 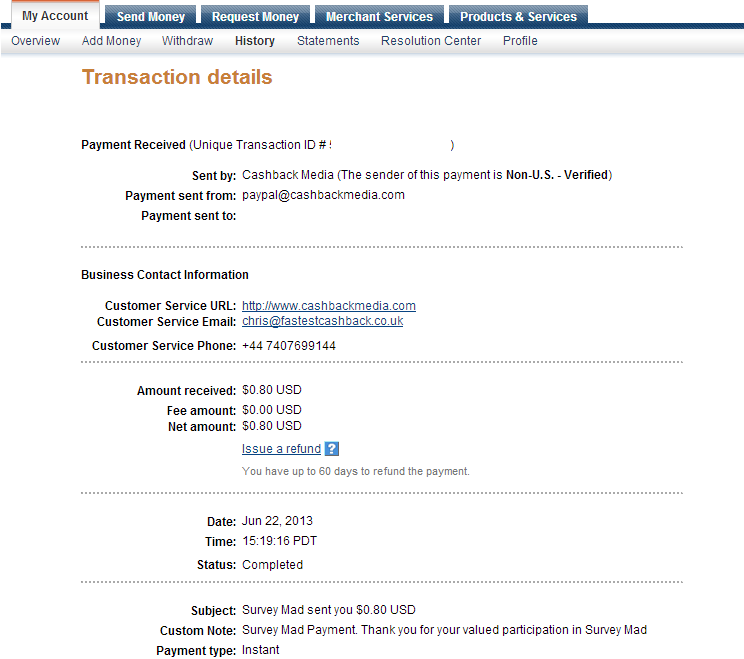 They have a low minimum cash-out for Paypal - 7 points/$0.07. Your first Paypal payment will be done manually, but future payments can be instant. You can also choose from instant gift cards (if you have already withdrawn manually). The minimum cash-out for Moneybookers is 100 points, or $1.00. Active members can get bonuses on this site. If you actively complete offers, you can request that the rate for the Virool videos be raised to 1 point per video, instead of the .5 points that regular members get. My first manual payment was sent very quickly! I got it 5 minutes after I requested.